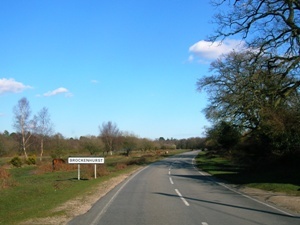 After passing the houses at South Weir, there is a short distance before we enter Brockenhurst itself - on the OS Map we are just to the east of the phone symbol by the 19m spot height. 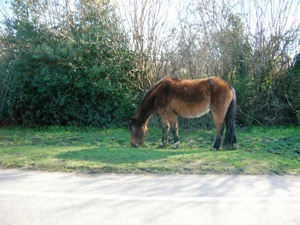 There were New Forest ponies grazing on the common, as shown in the third picture below. 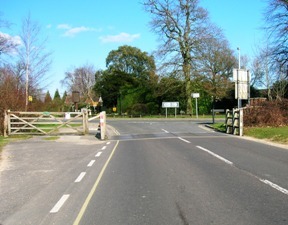 The first two photos below are taken in Brockenhurst itself. 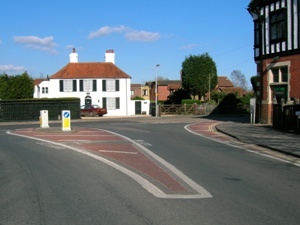 The first is taken here at the junction with the B3055, whilst the second is taken on the approach to the cattlegrid on the B3055 just before its junction with the A337. 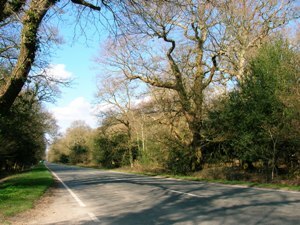 From here I continued north along the A337 towards Lyndhurst. 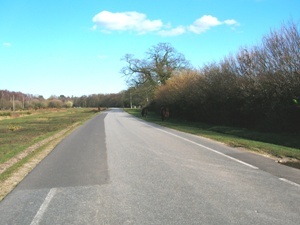 The third picture was taken on this section looking north. 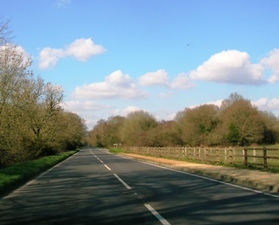 I have to confess that I don't know exactly where the last three photos were taken, except that I stopped from time to time on the A337 to take these pictures. 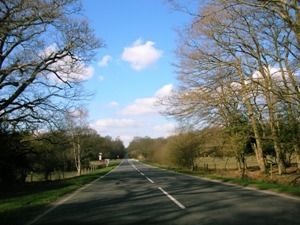 All I can say is that they are between Brockenhurst and Lyndhurst. 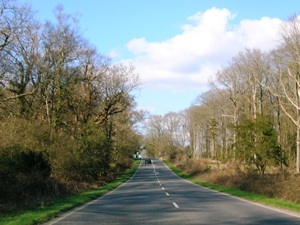 My trip to the New Forest was completely unplanned, and was a spur of the moment decision. I enjoyed the drive and took some reasonable photos, but I don't doubt that elsewhere in the Forest there are other areas that are at least as interesting to drive as these roads. May be another time then.